The School of Music welcomes the addition of two new faculy members in Musicology, beginning in the fall of 2019. Makoto Harris Takao is a musicologist, early modern historian, and player of the viol who works on Japan’s relationship with Christianity from the sixteenth century to the present day. Carlos Roberto Ramírez is a musicologist and harpsichordist whose primary research area is the study of Early Modern music and culture, focusing on the convergence of musical practice, organology, the history of the book, and subjectivity from 1350 to 1750. Congratulations to Dr. Christina Bashford, who became a Fellow of the Royal Historical Society in the UK in 2018! The Royal Historical Society was founded in 1868, and is the premier society of professional historians in Britain; its fellowships are awarded to those who are deemed to have made an original contribution to historical scholarship. The JaFran Jones prize is awarded annually (whenever funds allow) to the best student paper presented at the Chapter meeting. The prize was established in 1998 to honor the memory of the composer, ethnomusicologist and Balinese gamelan teacher JaFran Jones (d. 1997) who taught at the University of Toledo and at Bowling Green State University. You are cordially invited to the reveal of the Music & Performing Arts Library’s renovated player piano during a lecture-demonstration to be held on the afternoon of 9/22/18. More details about the exact time and place(s) are forthcoming—but the demonstration will be at MPAL and the lecture will be in another location in the Music Building TBD. A modest reception will follow. Musicology doctoral candidate Hilary Brady Morris has been awarded a Fulbright grant to conduct 10 months of dissertation research in Nepal on the Himalayan lute. Her ethnographic study focuses on the intersections of music and belonging through investigating Himalayan lutes in the ethnically diverse neighborhood of Boudhanath, Kathmandu. While abroad, Morris will also provide English-language tutoring and translation in local schools and monasteries. She also seeks to volunteer with local organizations and facilitate cultural exchange through community outreach. Her long-term goals include an academic career in ethnomusicology and Himalayan studies, directing a music ensemble partnering with Himalayan guest artists and cultivating a student-exchange program. Check out this radio story on Australia’s ABC Radio National on the song “Strange Fruit” and Gabriel Solis’s research on the impact of African American music on Australia. Musicologist Gabriel Solis has been named a dean’s fellow of the College of Fine and Applied Arts. It is my pleasure to announce that Gabriel Solis will join the dean’s office as a fellow in the new year. A professor of music, anthropology, and African American studies, Gabriel’s scholarly work explores the ways people engage the past, performing history and memory through music. As dean’s fellow, Gabriel will serve an important role in the implementation of the new college strategy, ensuring timely and inclusive realization of established goals.  A primary area of focus for this work will be the planning and realization of a new research hub for the college, including the establishment of infrastructure to support faculty-driven research themes in interdisciplinary performance, community partnerships, and arts research. The fellow will coordinate the exploration and establishment of a new center according to university statutes and processes, and work to devise and realize measurable goals for related efforts with attention to staffing, space, and fiscal stability. While serving the college, Gabriel will retain his faculty appointment. Last year, he was named an NEH fellow, and this year, began a three-year digital jazz studies project funded through the Trans-Atlantic Platform for Humanities and Social Sciences. His previous awards include the Wenner Gren Foundation’s Hunt Fellowship, the Arnold O. Beckman Fellowship for distinguished research, the Madden Fellowship for research in technology and the arts, an IPRH fellowship, and a Unit for Criticism and Interpretive Theory senior fellowship. Please join me in welcoming Gabriel to his new role within the college. Donna A. Buchanan has received a 2017 National Endowment for the Humanities: Exploring the Human Endeavor Fellowship for her project “Bells in the Music and Culture of Bulgaria.” The award will support the preparation of Buchanan’s new book, The Girl in the Bell: Audible Cosmologies of Bulgarian Belief, which considers how the gendered “voices” of pastoral and ritual bells make audible contemporary Bulgarian beliefs about nature, the universe, spirituality, and society. Whether pealing from the belfries of Orthodox cathedrals, jingling from the necks of herd animals, or clamoring thunderously from the costumes of participants in Carnival masquerades, bells serve as powerful sonic metaphors of community belonging and musical beauty, their timbres informing both women’s singing and men’s instrumental practices. By attending to how bells resonate meaningfully for Bulgarians across diverse sociopolitical contexts and expressive media, this study demonstrates that we experience, know, and inhabit our world not just visually, but aurally. Buchanan’s fellowship is one of six received by Illinois faculty this year. A campus announcement describing the awards can be found here. Diversity has been a buzzword in U.S. academia for several decades. However, in many cases, calls for diversity have translated into tokenist instances that often reproduce oppressive social structures within and outside of academia. The current political climate in the United States has forced disciplinary fields in the humanities to become more aware of their social relevance. By taking musical mementoes of Americana that conceal a Mexican heritage as points of departure this lecture explores what diversity would mean in a socially and intellectually relevant music academia.